"perfection” by the New Your Post's Clive Barnes. 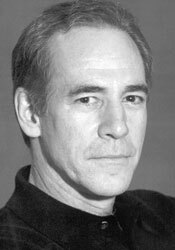 He earned Tony, Outer Critics' and Joseph Jefferson Award nominations for his performance as Gaylord Ravenal in Showboat, directed by Harold Prince, and he is a Theatre World Award recipient for his Broadway debut as Vittorio Vidal in Sweet Charity, directed by Bob Fosse. in Robert and Elisabeth (the inaugural production of the Paper Mill Playhouse), and John Jasper in the First National Tour of The Mystery of Edwin Drood. Television audiences have seen and heard Mark on such broadcasts as Larry King Weekend, Smithsonian Salutes Disney for the Disney Channel, Sondheim: A Celebration at Carnegie Hall (PBS) and Hammerstein the 100th Anniversary (PBS). He as appeared as a soloist with The New York Philharmonic, the Detroit, Dallas, San Diego, Portland and Vancouver Symphony Orchestras, the Greg Smith Singers, The Norman Luboff Choir, and can be heard on a variety of recordings, including cast recordings of his Broadway shows.